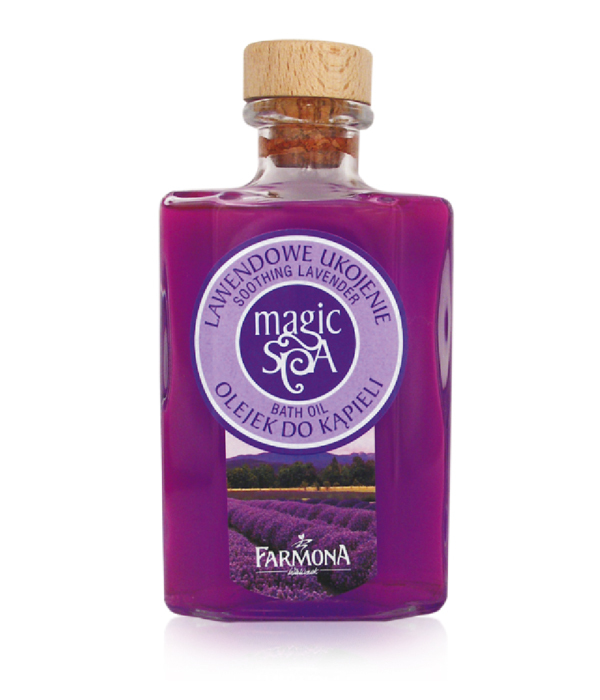 A bath oil with natural lavender essential oil, wheat bran extract and the truly moisturizing Soft Skin complex. The cosy scent of Mont Blanc lavender enables one to travel to the carefree childhood days, regain peace of mind and internal balance. It is perfect for lowering tension, calming and eliminating tiredness after the whole day. The bath embraces one with a sensual scent: the muslin foam, nourishing wheat bran and the moisturizing complex leave the skin silky smooth, soft and delicate. Natural lavender essential oil, wheat bran extract, Soft Skin complex. Aqua (Water), Sodium Laureth Sulfate, Cocamidopropyl Betaine, Sodium Chloride, PEG-7 Glyceryl Cocoate, Polysorbate 20, Propylene Glycol, Triticum Vulgare (Wheat) Bran Extract, Lavandula Angustifolia (Lavender) Oil, PEG-150 Pentaerythrityl Tetrastearate, PEG-6 Caprylic/Capric Glycerides, Panthenol, Citric Acid, Disodium EDTA, ethylchloroisothiazolinone, Methylisothiazolinone, 2-Bromo-2-Nitropropane-1,3-Diol, Parfum (Fragrance), Linalool, CI 45100, CI 42090.